Actress/Perfumier Kate Walsh Wants You To Take Your ‘Boyfriend’ Anywhere You Go: What If You Don’t Want To? We’ve loved Walsh ever since she blew Meredith’s mind on Season 1 of “Anatomy” when she showed up in Seattle and announced that she was McDreamy’s wife. Now Walsh will join vendors like Mary J. Blige, Sean “Diddy” Combs and soon Jennifer Stallone who are peddling perfume on HSN, the home shopping network said Friday. Walsh’s women’s fragrance and product line is named “Boyfriend” and will launch exclusively on HSN and at hsn.com on Nov. 11 and 12. The five-piece collection will employ a viral marketing campaign, and photographer Terry Richardson shot the brand advertising campaign. “For the launch of Boyfriend, Kate sought a partner that understood her creative vision and connected with a broad base of engaged women on a personal level,” the press release says. And Michael Henry, HSN’s senior vice president of merchandising, got his two cents in. We’re not quite sure we follow the logic behind this perfume. Mmmmm, you lost us on some of those ingredients. We are told that to ensure that “women can take their Boyfriend wherever they go,” Kate created “The Boyfriend” kit, a black train case inspired by a classic vintage design retailing for $79.95. Following the initial launch, select products from the kit will be offered in individual full-sized packaging featuring the 50ml EDP. The “webimercials” will feature Walsh and different Boyfriend scenarios. “Just as you tune in every week to watch your favorite television shows to follow the story line…there will continually be a new boyfriend story to entice the customer,” says Walsh. Additionally, consumers will have the chance to engage with the brand and tell their own boyfriend stories via uploaded videos. This user-generated content will be integrated into Boyfriend marketing creating a truly unique call to action for the consumer. Founded in 2010, Boyfriend LLC is a newly launched beauty and lifestyle company, owned by actress Kate Walsh. Boyfriend LLC will launch its first product this November with HSN to be followed by a retail launch in Sephora stores nationwide in January. Boyfriend LLC will continue to roll-out new Boyfriend fragrances through 2012 with the plan of expanding into the lifestyle market. Givaudan and perfumer MaryPierre Julien created the juice, Consultant Pamela Vaile, worked with Kate to develop the product line, the marketing plan and distribution strategy, Bentley Laboratories LLC created the formulas and Chad Lavigne LLC produced the package design and branding imagery. Of all the major home shopping networks, HSN has been the most aggressive in courting African-American consumers. And it took another big step in that strategy with its announcement last week that singer Mary J. Blige was launching a fragrance, My Life, on the channel July 31. Grammy-winner Blige is partnering with one of HSN’s vendors, Carol’s Daughter, with this marking the beauty brand’s first foray into a celebrity perfume. 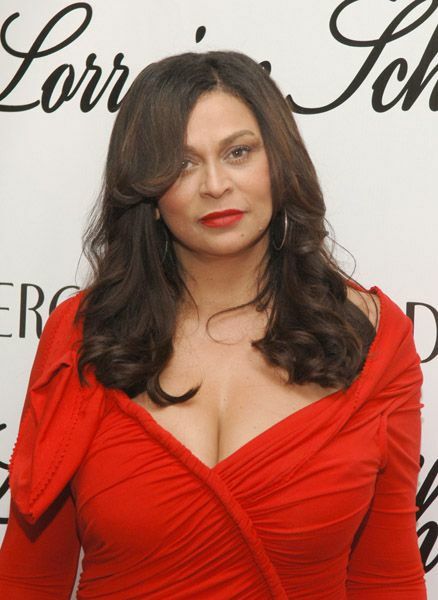 HSN described Carol’s Daughter as “a polyethnic beauty brand,” but fact of the matter is the hair and beauty products on Carol’s line are mainly aimed at black women and their unique beauty needs. Carol’s Daughter was created by a black entrepreneur, Lisa Price. She would mix essential oils and natural moisturizers and give these skin and hair products as gifts to her friends. She launched it as a business in 1993. We were introduced to the Carol’s Daughter line long before its HSN debut. It is sold in one of our favorite shops in Montclair, N.J., Dem Two Hands. The store, which has artisan-crafted jewelry to die for, is owned by African-American women and caters to larger women in terms of clothing. It’s no wonder that HSN did the Blige deal, after the success of its show last year with rap mogul Sean “Diddy” Combs. He did one hour, and his award-winning men’s fragrances — Sean John I Am King and Unforgiven — blew out the door and sold out. The music and style entrepreneur fielded endless calls from his devoted fans during the show. And they were all eager to buy his fragrances. We’re sure HSN is looking for that kind of success with Blige. The network said its marketing for My Life will aim at the singer’s fans, as well as Carol’s Daughter’s HSN fans. The No. 2 home shopping channel didn’t just start targeting women of color. HSN also has several African-American fashion designers that have been on the air for years, including Antthony Design Originals. The model-businesswoman Iman and tennis pro Serena Williams also have jewelry and clothing lines on HSN, as does former HSN host Terry Lewis. We’re not saying that Iman and Williams’ clothes and accessories aren’t popular with Caucasian women. But those two women get many on-air calls from a large number of their African-American fans. HSN’s host roster, as well as its vendor list, has several women of color. That includes Marlo Smith and Tamara Hooks. In its announcement last week, HSN said that the debut of Blige’s My Life is the first exclusive launch of a fragrance on a home shopping channel. And it’s a complex, “multi-platform” effort, as they say in the biz. As part of HNS’s marketing campaing, video segments called “Life Chapters” will “capture various facets of Mary J. Blige’s compelling life story, including her philanthropic, music, and beauty projects. The segments will be seeded online, on HSN and through social media such as Facebook and Twitter,” according to HSN. This Life Chapters campaign will also flow over into the Essence Music Festival in New Orleans July Fourth, with HSN a sponsor of that event. 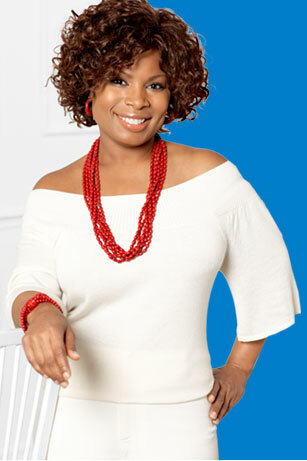 HSN will set up an interactive My Life booth where fans can learn about the fragrance and meet Blige. They will also be able to post pictures from the Festival on http://www.hsn.com/maryjblige. The risk with Blige is that her often rocky relationships with men may resurface. In December, the New York tabloids reported that Blige had punched her husband Kendu Isaacs at a record-launch party. She later said she was just trying to break up a fight between Issacs and her brother, according to the New York Daily News. Did HSN Vendor And Rap Entrepreneur Sean Combs Do The ‘Unforgivable’ By Allegedly Copying An Artist’s Design? HSN vendor and rap impressario Sean “Diddy” Combs is being sued by a glassblowing artist who charges that Puff Daddy copied one of his designs for the bottle of the cologne Unforgivable, The New York Post reported Tuesday. Artist Tom Patti alleges that Combs’ Sean John company ripped off one of his 1981 sculptures. The suit claims that the piece was on exhibit in a Manhattan gallery in 2006, and was valued at $40,000 then. Combs denies he did any copyright infringement, and has taken his own legal action. Combs is a new HSN vendor, and several months back he sold his Unforgivable men’s and women’s cologne on the home shopping channel. But the fragrance was in a smooth bottle, not the ribbed version that allegedly copies the glass scuplture. Maybe the bottle design was changed after the suit was filed. But there’s another twist to this story. Combs beleives that Patti sued because he was approached by The Urban Glass Quarterly about the resemblance of his sculpture and Unforgivable’s bottle. So Combs is asking a Brooklyn judge to compel The Urban Glass Quarterly’s writer to produce her notes from her reporting for her 2008 story. Two home shopping vendors, celebrity stylist Rachel Zoe and rapper-entrepreneur Sean “Diddy” Combs, both made the New York Post’s list in its “A Decade of Trends” story Thursday. Zoe, who does a fashion and accessory line for QVC, was lauded by the Post for building “a career on perfect taste, an eye for vintage and a knack for pulling fabulous gowns.” Zoe, who does “The Rachel Zoe Project” for Bravo, is pictured with client Nicole Richie. Combs, who sold out his fragrances during is recent debut on HSN, won high praise from the Post. “By far, one of the greatest retail successes that doesn’t make us want to barf is Sean John — the label launched in the late ’90s by music mogul Sean ‘Diddy’ Combs,” the Post wrote. The New York Daily News Friday did an item in its “Gatecrasher” column that mentioned Sean Combs’ recent success on HSN. Rapper, entrepreneur and style icon “Diddy” attended the AOL Kickoff party earlier this week at the New York Stock Exchange. Apparently, a number of white-bread finance guys were stopping Combs and asking him what he thought about their suits and ties, since he is known as a fashion plate. The News item then noted that Combs know what’s hot, because his new line of fragrances, which includes I Am King, recently sold out on HSN. “I’m just trying to bring some of my style to Middle Americam” Combs told the News. Sean “Diddy” Combs made his debut on HSN Monday, as did his fragrance line. His motto seemed to be that he likes his grandfather, but he doesn’t want to smell like him. Hence the fragrances (but we hope grandpa wasn’t watching). Combs’ products were such a hit during his first show at 11 p.m. that they all sold out. So HSN had to cancel his second scheduled show at 1 a.m., since there was no merchandise left to sell. 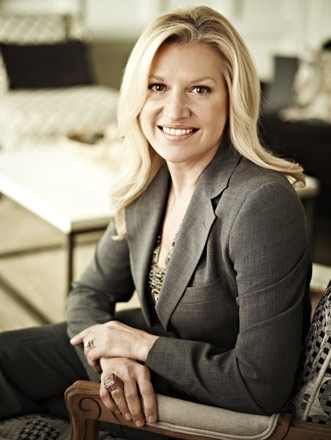 For Combs’ debut HSN CEO Mindy Grossman opened the company wallet and had a new set built, which looked like a sophisticated penthouse, and even had the Manhattan skyline in the background. Puff Daddy was laid back and modest, rather charming for a mogul with a multi-million dollar empire in music, fashion, TV, movies and fragrances. More than any of the other shopping networks, HSN has courted the African-American market, by bringing vendors in such as the hair-care line Carol’s Daughter, David Bowie’s wife Iman, and now Combs. The rapper said he helped design the cologne, in partnership with Estee Lauder. It has won the FiFi Award, which Combs called “the Oscars” of the perfume industry. The name I Am King was not a boast, according to Combs, but a positive affirmation for everyone. Those are great sentiments, but we can’t help but note that Combs has a somewhat checkered past, which includes an arrest on a weapons charge — when he was with his then-girlfriend Jennifer Lopez — following a nightclub shooting in Manhattan. Scorpios like Combs often have a dark side. We remember tabloid stories about an upset Lopez being dragged down to the police station with Combs the night he was arrested. Doesn’t sound very queenly. Well, that was almost 10 years ago. Leopards can change their spots. Host Callie Northagen did the show. She seems to be HSN’s ace for interviewing high-profile talent, including Madonna and singer Natalie Cole. HSN was also selling the men’s and women’s fragrance lines Sean John Unforgivable. The kits and gift sets ranged in price from $57 to $78. There was also a fleece robe for $60. He also claimed he was a fan of the No. 2 home shopping channel. “Sometimes when you watch HSN, you get stuck there for hours,” Combs said. We know what you mean, Diddy. Puff Daddy is coming to HSN. Sean “Diddy” Combs will appear live on the home shopping network next week to sell his award-winning fragrances, holiday gift sets and exclusive Sean John robe for $60. Combs, who is also an actor and music producer, will unveil his men’s fragrance collections Unforgivable and I Am King, and women’s fragrance collection Unforgivable Woman during two shows: Monday at 11 p.m. and Tuesday at 1 a.m. Unforgivable, I Am King and Unforgivable Woman fragrance collections will be available for the first time on HSN in gift sets “that touch upon signature notes of Sicilian Lemon and Italian Bergamot, Pina Colada and Grapefruit, as well as Tangerine Zest and the Imperial French Berry,” according to HSN’s press release. The women’s fragrance collection, Unforgivable Woman, “is a sensual combination of creamy, floral and warm and luscious notes,” says HSN. 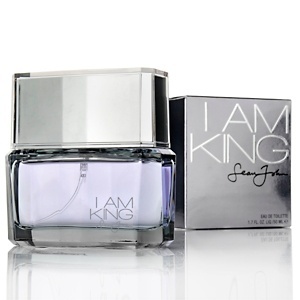 Combs’ newest men’s fragrance, I am King, “is an untraditional fresh fruity, woody scent, evoking the modern day king,” according to HSN. “We are very excited to partner with Sean ‘Diddy’ Combs and bring to life on HSN the compelling story behind the success of his top-selling fragrances for both women and men,” HSN CEO Mindy Grossman said in a prepared statement. The Unforgivable gift sets for men will be available in a Deluxe Holiday Set, which will include a 4.2 ounce spray and signature watch, or in a Classic Holiday Set featuring a smaller 2.5 ounce Eau de Toilette spray and deodorant. The I Am King Classic Holiday Set includes a 1.7 ounce spray and 3.4 ounce After Shave Balm. All three sets for men include a Sean John signature bag as a gift with purchase. For women, the Unforgivable Woman Holiday Set will include a 4.2 ounce scent spray, body lotion and corresponding makeup bag, along with Unforgivable and Unforgivable Woman Bubble Baths as gifts with purchase. The Unforgivable, Unforgivable Woman and I Am King Eau de Toilette will be available as well. In addition, an exclusive Sean John robe will be available to complement the gift sets. You are currently browsing the archives for the Sean "Diddy" Combs category.